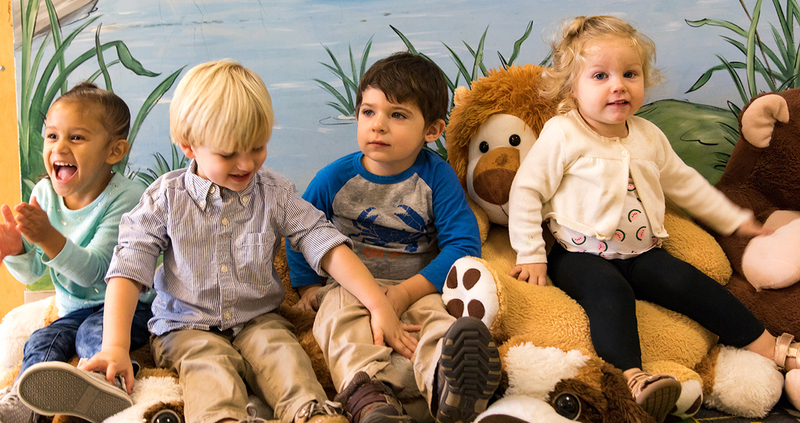 PRUMC Drop-In Childcare provides care for infants and preschoolers in a safe, loving environment while parents take a break to care for themselves or the needs of their families. The Drop-In has a wonderful staff consisting of childcare professionals, former teachers, and college students – all with a love for children. Employees are trained in CPR and First Aid and participate in on-going training throughout the year. The Drop-in Office, Two Year Old, and Big Kids rooms are on the 2nd floor (rooms D211A & B, & D213) of the Children’s Building. The Drop-In Toddler, Young Toddler and Infant room are on the first floor (rooms D118 & D121). You may stop by, call or email to make a reservation. Email reservations to drop-in@prumc.org or call 404.240.8269. Drop-In welcomes children age 4 months to 6 years old. Billing will occur through PayPal and Payments may be made through PayPal, check or cash. Please bring an extra set of clothing for each child. If your child is in diapers, please bring at least 3 disposable diapers. Also, include a no-spill cup or bottle if your child cannot drink from a paper cup. Label your child’s belongings with his/her name, for example: bottle, cup, diaper bag, pacifier, change of clothes, and lunch box. A mid-morning snack will be provided for children in the toddler and older rooms. Parents provide a packed lunch with all food cut and ready to serve. A mid-morning snack is served in our infant room as specified by the parent on the sign-in sheet. Bottles and food sent by the parent are also given to infants as specified by parents on the sign-in sheet. A child who has had vomiting, diarrhea, or fever in the past 24 hours should be kept home. Also, please note that Drop In staff is not permitted to administer medication. Michele Ellis, Director of Drop-In Ministries: 404.240.8269 or michelee@prumc.org. Charelle Pringle, Assistant Director of Drop-In Ministries Drop-in@prumc.org. You do not need to be a member of PRUMC to use Drop In Childcare. However, you are always invited to attend church services and events! Visitor information can be found here.